Peace Air was a Canadian regional airline that flew to destinations within the Canadian province of Alberta and to two destinations in eastern British Columbia. 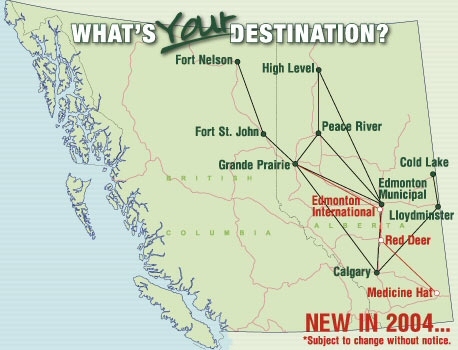 It covered niche markets including scheduled flights to smaller communities, freight and charter flights in northern Alberta. It was based in the town of Peace River, Alberta. On May 18, 2007 Peace Air announced that the airline would cease all operations, and was placed into bankruptcy. Peace Air is no longer in active service.